Culver City has it’s ups and downs. On the upside – great food, hotel that Munchkins trashed in Wizard Of Oz, and beach adjacent for a nice climate. On the downside – “young” Hollywood, potential for meth-addict neighbor who thinks you are the wheel man in a complicated plot to maliciously trim his hedges in the middle of the night, and hipster graffiti. 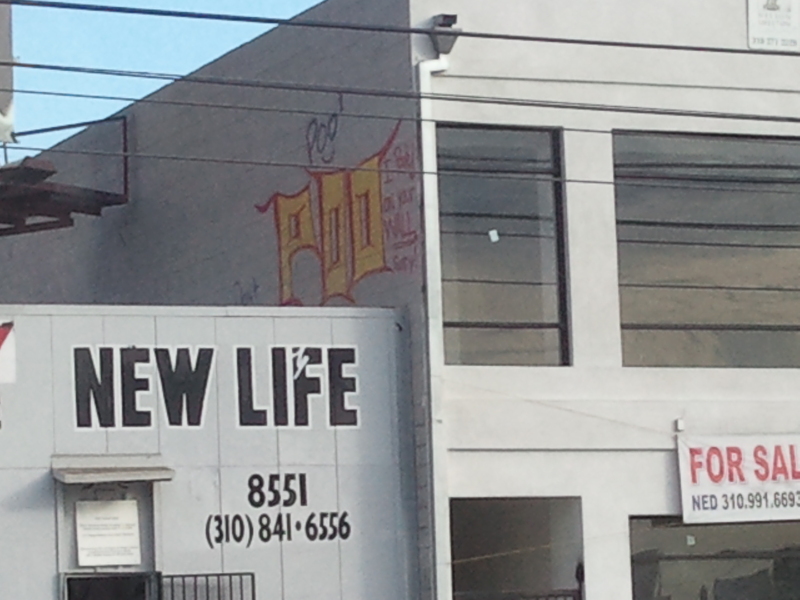 Someone(s) has taken to tagging downtown Culver with their particular brand of wacky, ironic douchebaggery. That’s right, someone is pooing all over the walls and curbs and community theaters in Culver City, often times accompanied by a faux-reticent comment sprayed next to the offending Poo “Sorry, I pooed on your wall”. I don’t have anything pithy here folks. Hipster douchebags are tagging now. It must be very ironic to them. All I know is I’d like to give them a taste of their own medicine. Posted on August 31, 2011, in America, Monkey Justice and tagged graffiti, hipster douchebag, irony, Poo, tagging. Bookmark the permalink. 2 Comments. go monkey power. Back a long time before your were born. I lived in Culver City and have memories of the aroma from the Helms Bakery. The Culver movie theater (scary double features on Sat. afternon) Wide tree lined streets. The house I lived in was (Calif Craftsman style) torn down and replaced by an apartment house that is a slum. Too bad the beautiful, graceful town is being defaced in such a childish manner. Well, everything changes unless someone cares enough to step in and stop the vandals. Now when you drive past Helms you get the unmistakable reek of Axe Body Spray from Father’s Office, so it still has an aroma…. Culver has made an amazing turnaround in the last 10 years. It had fallen into something of a slum, but has been rejuvenated through a lot of hard work. It still has wonderful flares of the Cuban culture, if only in small bits, and has become a really great melting pot of cultures, Arabic, Russian, Cuban, and the inevitable Hipster douchebag plague. I’m sad to see the new tagging going on. If you’re going to desecrate the community, at least make it Simpson/Hemstead stickers.